Dimark S.A. specializes in designing, executing, assembling, commissioning and servicing internal automatic transport lanes for every industry sector where products are to be conveyed. Our domain are baggage control and transport systems, dedicated for airports. We commenced our activity in 1992, while presently we offer to our Investors, the most advanced and latest technology solutions, competing successfully with the world’s largest manufacturers of control and transport systems. Dimark S.A. has an experience in a complex execution of investments for control and handling systems, offering optimal solutions at every stage of a project execution. Wide experience, ongoing research and development activities and client focused attitude ensures that each of delivered baggage handling system is tailor-made according to the airports’ individuals specifications. 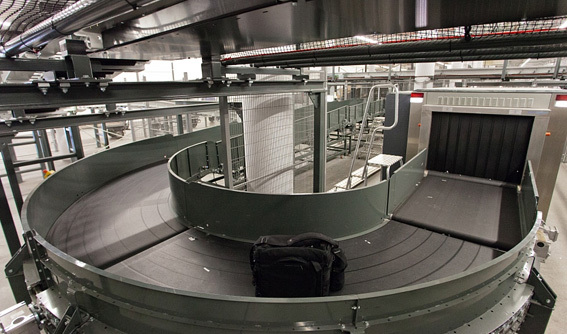 Provided baggage handling systems ensure precise tracking and safe movement of baggage to the right aircraft, meeting even the most time-critical schedules.